Because of the plentiful year round sun here in the Menifee Valley area combined with our hot, dry weather means Menifee is ideal for having solar panels on your home. There’s no doubt you are probably cranking up your air conditioner and driving up your electricity bill to stay cool. Why not take advantage of the utility and tax incentives and our numerous financing options to produce your power with economical, green solar energy for decades to come. In fact, The City of Menifee encourages the installation of renewable energy systems with low building permit fees and a standardized solar permitting process. Is Your Menifee Home Solar Power Compatible? There are hundereds of homes in Menifee with solar power benefiting the owners and their families with clean, affordable power. You must be thinking is solar right for my home? What does solar cost? How many panels will I need? SCE (Southern California Edison) continues to raise energy rates every year with no signs of stopping. Flipping the switch to affordable, reliable renewable solar energy simply makes sense. There are some considerations before choosing to invest in solar. The Menifee area has grown tremendously over the last decade, and real estate prices remain strong which makes solar a great way to increase your home’s value. 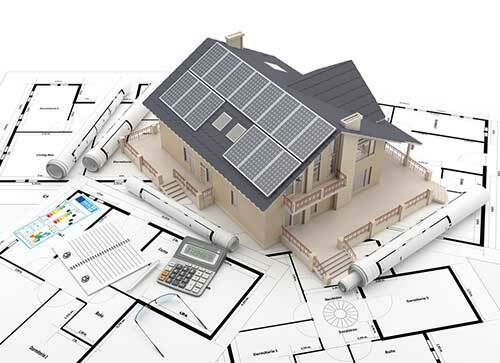 How Much Could Solar Power Increase Your Home Value? Location – Is your roof location ideal for solar? i.e., is it south facing? Why Hire A Local Menifee Solar Contractor? Whether your home is close to the new Menifee Countryside Marketplace on Newport Rd, the Menifee Town Center or east of the busy I-215 freeway near Scott and Menifee Rd CalState Solar is the best solar provider in Menifee. CalState Solar has been serving Menifee home solar customers for years. We are located just West of the I-15 freeway on Commerce Center Dr. not far from your home. When you hire a local solar power company, more of that money stays right here in our area, and of course, that helps everyone. We are a top sub-contractor for many of the prominent solar companies in CA so you can trust us to help you choose the right system, but complete your solar installation on time and trouble free. CalState Solar covers Menifee from Tierra Shores to Menifee Lakes to Paloma Valley to Audie Murphy Ranch, and the communities of Quail Valley, Paloma Valley, and Sun City we are your go to Menifee solar installer.